Team Suzuki Press Office – October 2. Yoshimura Suzuki Factory Racing has signed former AMA Pro 250 Motocross Champion Blake Baggett to the team today during the 2015 Suzuki Motor of America, Inc. (SMAI) Dealer Meeting at the Hard Rock Hotel and Casino in Las Vegas, Nevada. Baggett will join Yoshimura Suzuki’s James Stewart in the premier class for the 2015 AMA Pro Supercross and Motocross seasons, but his first race on the Yoshimura Suzuki RM-Z450 will be Las Vegas’ Monster Energy Cup later this month. 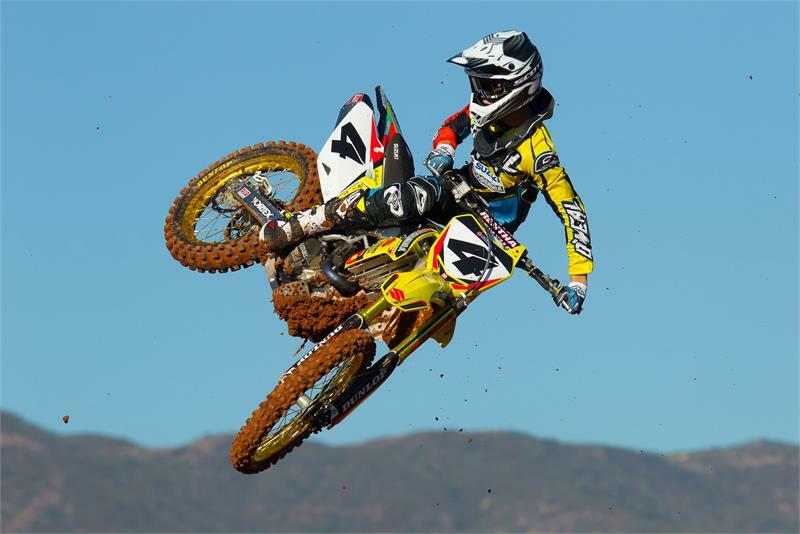 Baggett’s Yoshimura Suzuki team-mate Stewart won the prestigious stand-alone Supercross race last year.